It started last month. The request came in from hardly ever reader Trish. Then two nights ago in from sometimes reader Lynn. People are looking for Halloween costume ideas. Halloween is one of my favorite holidays and brainstorming costumes is another one of my favorite things to do each year. It's actually something I do year-round and keep a little list handy! So without further ado, here are my 14 ideas for 2014. 1. iCould Leak: This is my FAVORITE idea. Dress as a cloud (think pillow stuffing stuff from a craft store glued on to a sweat suit) and then put censored celebrity pics on. 2. Emoji: There are SO MANY options with Emojis! Pair with a friend to be the dancing girls. 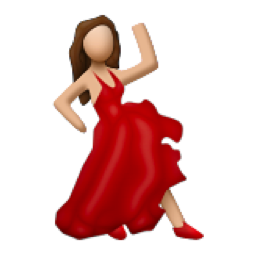 Go solo as the girl in the red dress. The two girls in the pink and red dress. You can also wear all black and create a different yellow face to wear a la sandwich board. 3. 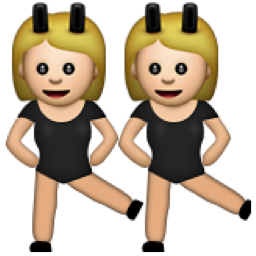 Beyonce: I imagine this as a group costume to display the many stages of Beyonce. “I woke up like this” Beyonce, Drunk in Love (with a surfboard) Beyonce, Single Ladies Beyonce, Preggo Beyonce at VMAs, and bedazzled leotard Beyonce times a thousand. 4. Pumpkin Spice: People LOVE Pumpkin Spice anything right now. Turn wear all brown with a pumpkin spice label! 5. Grumpy Cat: Go for a general white cat costume and use makeup to paint your eyes brown. Bonus points for creating grumpy meme like signs to hold up! 6. Clueless: Iggy Azalea went retro for her Fancy video by throwing things back to the movie Clueless. 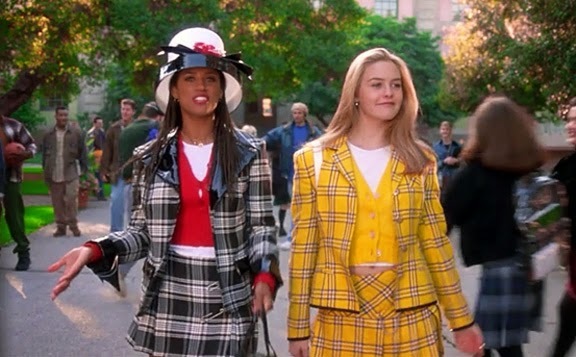 Break out the plaid on plaid and go as Cher! 7. Most Eligible Bachelor: With Clooney off of the market, all of the celeb mags are trying to determine who is the world’s most eligible bachelor. Create a people magazine cover and insert yourself into the issue. Preferable wearing a tux and maybe carry one rose bachelor style! 8. Nicki Minaj & an Anaconda: I’m typically against pop star costumes, but I’ve made about three references in this list. This is an idea for couples – one goes as Nicki and the other a snake! 10. Jimmy Fallon EW Girl: One of Jimmy Fallon’s most popular sketches on the new Tongiht Show, dress as the “Ew”girl. Blonde wig, sequin pink dress and pink headband! Bonus points for faux braces! 11. 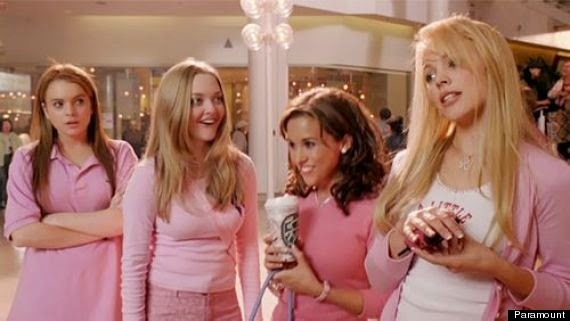 Mean Girls: This year marked the 10th anniversary of the movie Mean Girls. There are a few ways you could do a group costume for that. Four girls dressed in pink (“On Wednesdays We Wear Pink”) with burn books. Four girls dressed as the Christmas skit with 1 mom in a pink velour jumpsuit. Or as the Mean Girls in their Halloween costumes. 12. A Legalize It Person: Every year you need a political-inspired costume and with marijuana being legalized in more states, why not be a legalize it person! Think hippie with some weed-inspired shirt and sign. Bonus points for passing out brownies! 13. Joe at the Super Bowl: This is a 2014 oldie, but a goodie. When you Google Joe Namath at the Super Bowl, yeah, you get pictures of him in a Jets uniform. 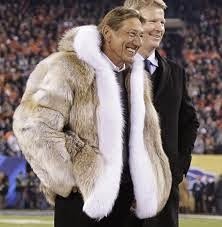 But you also get some awesome shots of him at this year’s game in his awesome fur coat. A good idea for a guy! 14. Pittsburgh-Centric: For those of you that live in the Pittsburgh area, a few city-centric ideas: The Lost Old Lady During the Pirates Game,Sophie Masloff, construction cones, polar vortex or a drunk country concert goer (complete with trash hanging from your outfit). · Pharrell Williams with his hat from the Grammy’s. · Olivia Pope from Scandal (I bet you won’t recognize half of these at first). · Orange is the New Black for girl packs. And…I have to say it, but Ebola parodies. This will be a controversial one this year! Let me see that Pumpkin Roll!